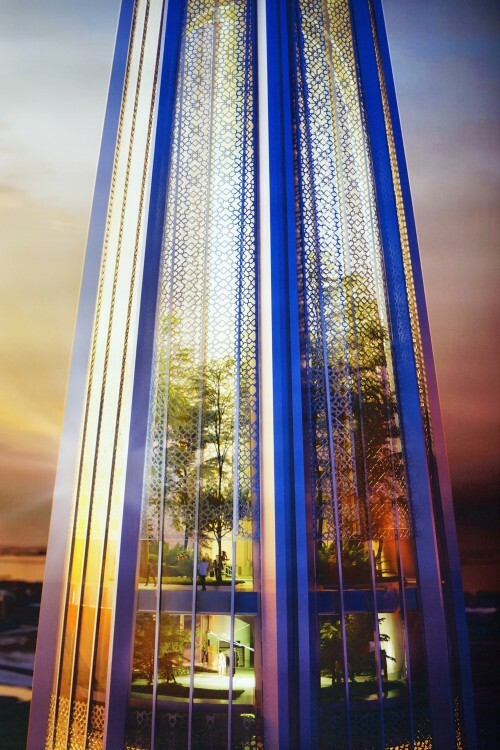 The Tower will be the architectural centrepiece of the Dubai 2020 Expo in the same way that the Eiffel Tower was to the 1889 Paris World Fair. 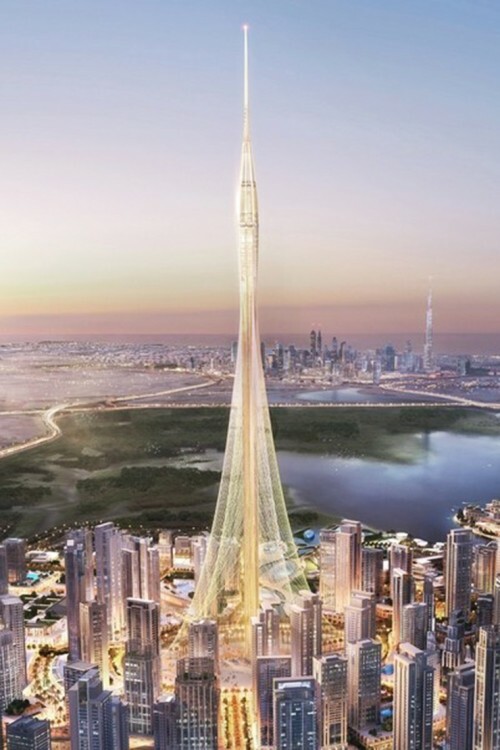 It was announced in June 2015 that The Tower will be taller than the Burj Khalifa at 928 metres although it's entirely possible that this is a playful understatement and the tower will ultimately be over 1000 metres tall. 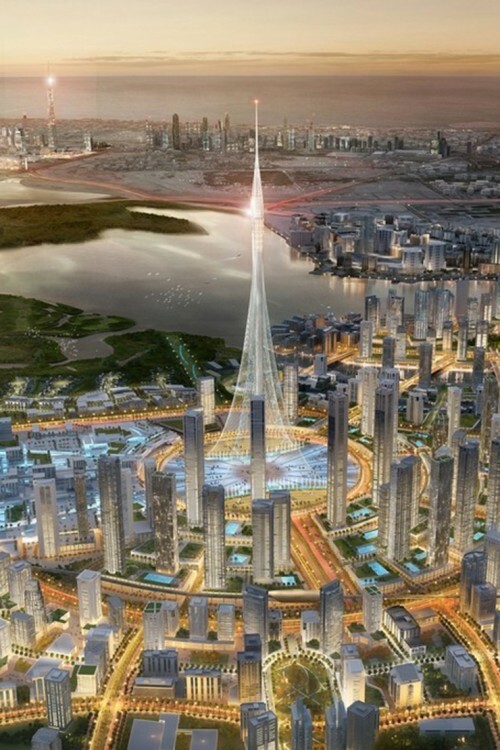 Given that neighbouring Saudi Arabia is part way through constructing the 1km tall Kingdom Tower, we think it would almost be silly not to beat it! 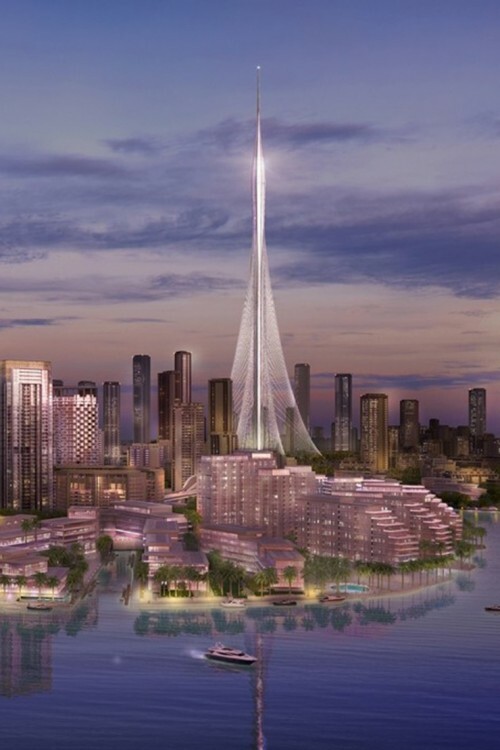 Designed by Spanish architect Santiago Calatrava, The Tower will cost an estimated $1 billion. The building will be primarily architectural although there will be 20 usable floors at the top contained in an oval-shaped bud which will house 10 observation decks, a hotel, restaurants, a function room and an indoor garden. At night the bud will act as a light beacon and the lighting system will depict the features of a flower. 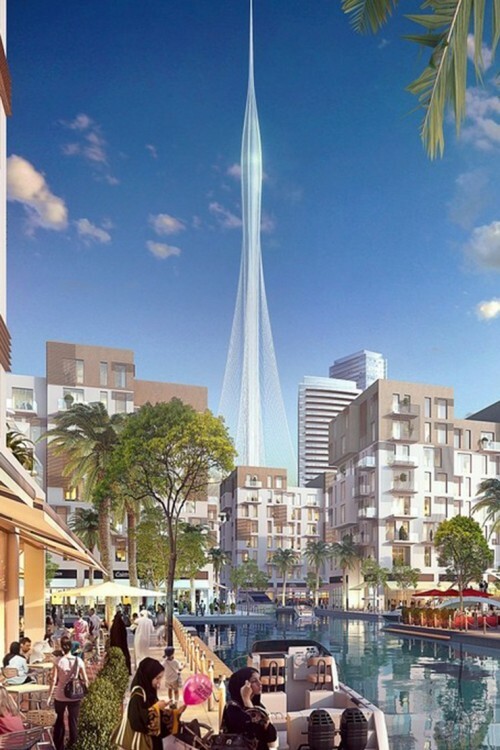 Emaar Properties, the developer behind the project, is aiming to deliver The Tower in mid 2020 in time for the Dubai Expo 2020 event, ie in October of that year. 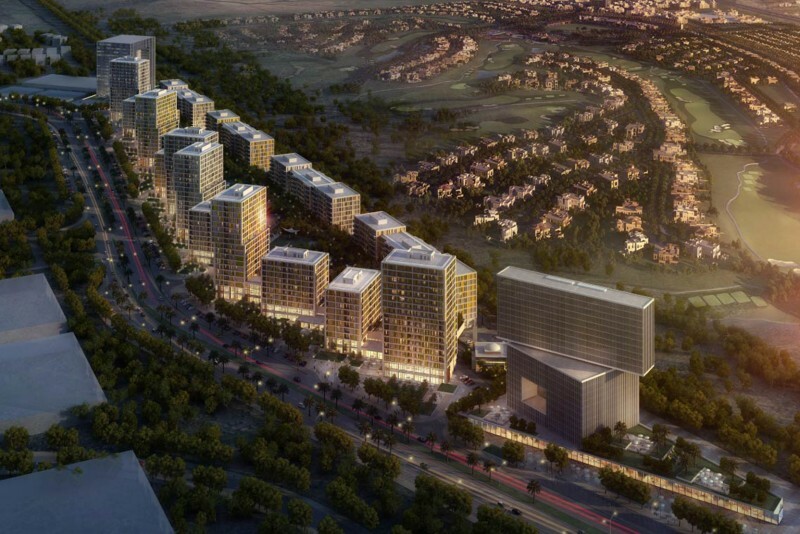 The tower will be linked to a retail district which is also due for completion at the same time. 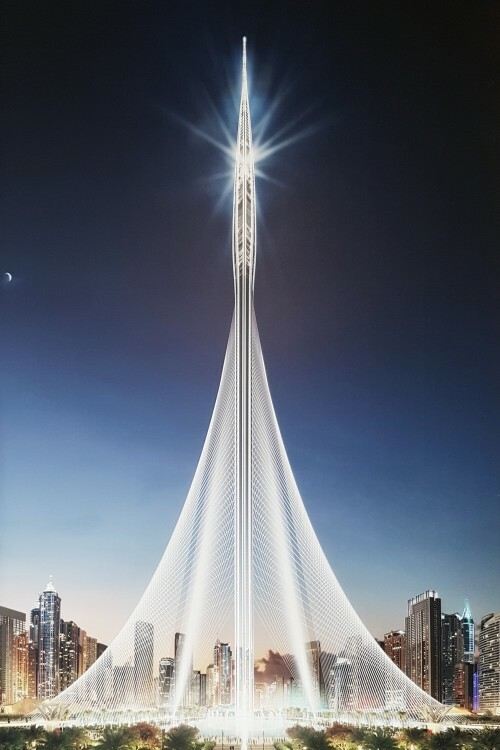 Santiago Calatrava's design was the winner of an international design competition between five of the World's top practices. The steel cables that anchor the tower will be some of the longest ever used in a construction project. 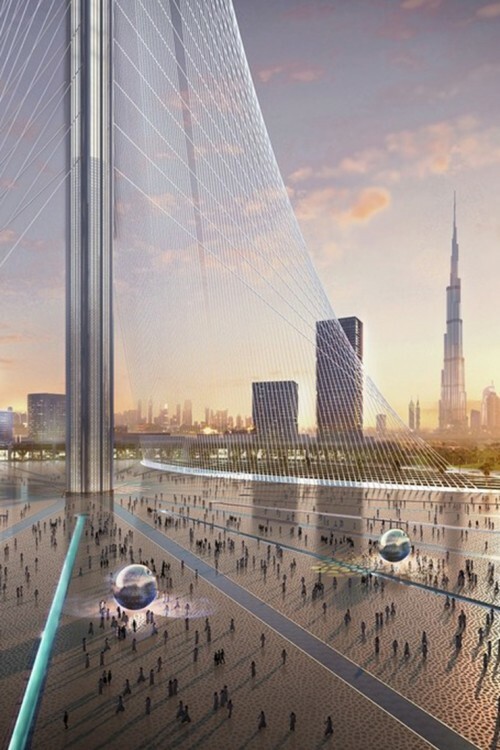 The observation deck will offer unobstructed panoramic views of Dubai and will feature rotating platforms which take guests outside. The adjoining retail district is currently still in the design phase but will act as a neighbourhood centre with shops, a museum, educational facilities and an indoor auditorium. 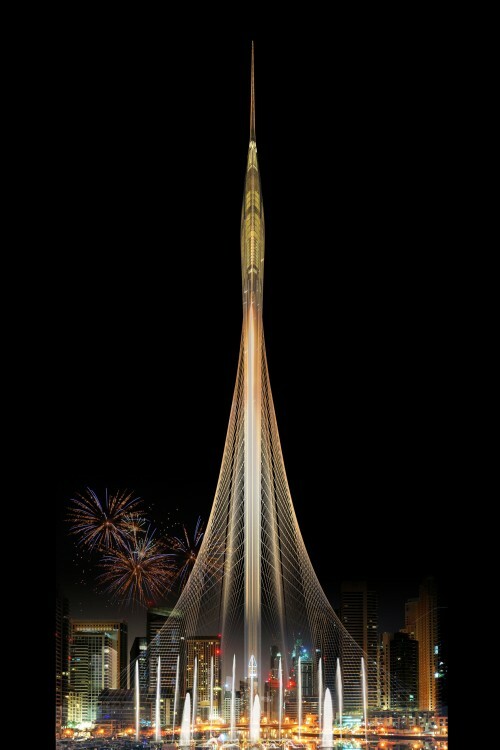 It will be completed along with The Tower in time for the Expo in 2020. 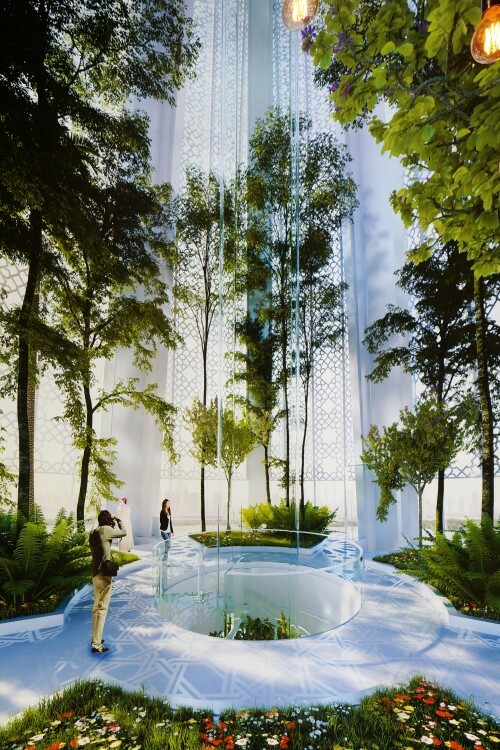 The Tower will have a self-cleaning facade which uses water collected from a sustainable cooling system. Work on the project got under way in June 2016, with Aurecon appointed as the engineer and architect of record and the Cala­trava team leading design and engineering works. Advanced wind tunnel tests on The Tower, crucial in defining the final height and aspects of the design, were completed in July 2016. The architect added that they "were an important component in the structural design stage, and we have deployed innovative engineering techniques to confirm the strength of the new icon". The tests involved 12 different analysis and testing methods to ensure that all possible cases were considered, and were carried out for the entirety of the project using a scale model. As part of climate tests in the local area, measurements were taken at different heights, including data provided by the weather stations. Seismic studies on the local ground conditions were also carried out to guarantee the maximum safety and stability of the building. 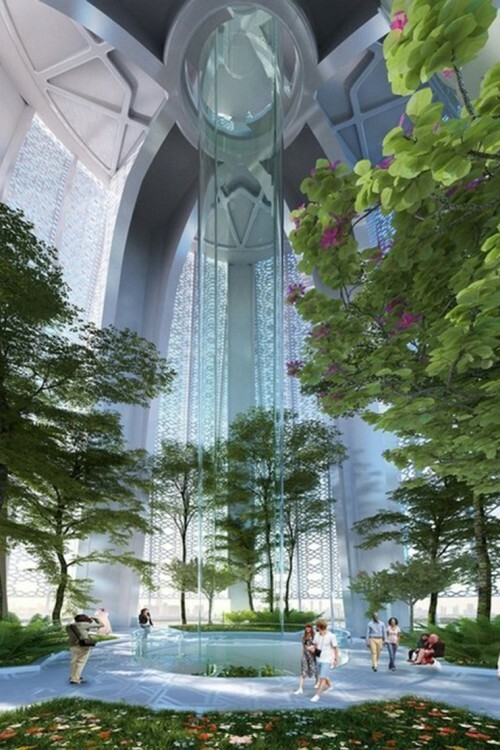 The design of The Tower includes multiple damper systems and shock absorption systems, located at different points and heights. Construction began in July 2016 and is due to be completed in four years, in time Dubai’s Expo 2020. As of September 2017 the raft foundation is now complete. About 12,000 tonnes of steel reinforcement has also been placed; that’s nearly twice the weight of the Eiffel Tower. Placement of concrete for the pile cap started in September 2017 with completion scheduled for mid-2018. In all, about 50,000 cubic metres of concrete will be used to fully cap the foundation piles. The pile cap is approximately 20 metres thick, made up of multi-layered, tiered reinforced concrete that covers and transfers the load to the foundation barrettes. 50,000 cubic meters of concrete weighs about 120,000 tonnes, equivalent to the weight of the CN Tower in Canada.